Construction workers in China. Photo: Zhou Ding/flickr. SINGAPORE – When the city of Detroit filed for bankruptcy last week, it became the largest such filing in United States history. Detroit’s population has dropped from 1.8 million in 1950, when it was America’s fifth-largest city, to less than 700,000 today. Its industrial base lies shattered. And yet we live in a world where cities have never had it so good. More than half of the world’s population is urban, for the first time in history, and urban hubs generate an estimated 80% of global GDP. These proportions will rise even higher as emerging-market countries urbanize rapidly. So, what can the world learn from Detroit’s plight? As recently as the 1990’s, many experts were suggesting that technology would make cities irrelevant. It was believed that the Internet and mobile communications, then infant technologies, would make it unnecessary for people to live in crowded and expensive urban hubs. Instead, cities like New York and London have experienced sharp increases in population since 1990, after decades of decline. One factor that has helped cities is the nature of twenty-first century life. Previously, life in developed countries was based on daily routines: people went to work in offices and factories, returned home to eat dinner with their families, watched their favorite television programs, went to sleep, and repeated the cycle when they awoke. Such regular cycles no longer apply to most peoples’ lives. In the course of a work day, people mix and match many activities – they may work at a desk, but they may also meet a friend for lunch, go to the gym, do chores, travel on business, shop online, and so on. Similarly, time at home is no longer clearly demarcated, with people working online or participating in conference calls even as they manage their family life. We have discovered that this multi-tasking life is best done in cities, which concentrate a multiplicity of hard amenities – airports, shops, schools, parks, and sports facilities – as well as soft amenities like clubs, bars, and restaurants. Another factor is that cities have increased in importance as hubs for innovation and creativity. Until the nineteenth century, innovation was carried out mostly by generalists and tinkerers, which meant that the accumulation of new knowledge was slow, but that its diffusion across different fields was rapid. In the twentieth century, knowledge creation became the job of specialists, which accelerated knowledge creation but retarded inter-disciplinary application. But recent studies have shown that this source of innovation is rapidly decelerating (the productivity of an American research worker may now be less than 15% of a similar researcher in 1950). Instead, innovation is increasingly based on mixing and matching knowledge from different specializations. Certain cities are ideally suited for this, because they concentrate different kinds of human capital and encourage random interactions between people with different knowledge and skills. The problem with this post-industrial urban model is that it strongly favors generalist cities that can cluster different kinds of soft and hard amenities and human capital. Indeed, the growth dynamic can be so strong for some successful cities that they can hollow out smaller rivals (for example, London vis-à-vis the cities of northern England). Some specialist cities could also do well in this world. But, as Detroit, with its long dependence on the automotive industry, demonstrates, cities that are dependent on a single industry or on a temporary location advantage may fare extremely poorly. All of this has important implications for emerging economies. As it transformed itself into the “factory of the world,” the share of China’s urban population jumped from 26.4% in 1990 to around 53% today. 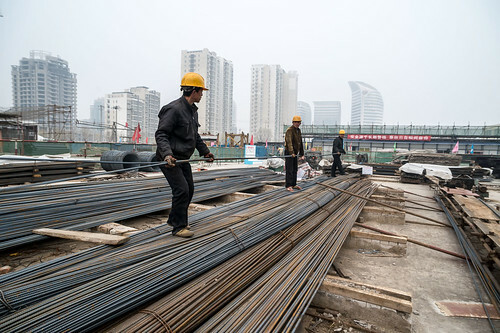 The big, cosmopolitan cities of Beijing and Shanghai have grown dramatically, but the bulk of the urban migration has been to cookie-cutter small and medium-size industrial towns that have mushroomed over the last decade. By clustering industrial infrastructure and using the hukou system of city-specific residency permits, the authorities have been able to control the process surprisingly well. This process of urban growth, however, is about to unravel. As China shifts its economic model away from heavy infrastructure investment and bulk manufacturing, many of these small industrial cities will lose their core industry. This will happen at a time when the country’s skewed demographics causes the workforce to shrink and the flow of migration from rural areas to cities to slow (the rural population now disproportionately comprises the elderly). Meanwhile, the post-industrial attractions of cities like Shanghai and Beijing will attract the more talented and better-educated children of today’s industrial workers. Unlike rural migrants heading for industrial jobs, it will be much more difficult to guide educated and creative professionals using the hukou system. The boom in the successful cities, therefore, will hollow out human capital from less attractive industrial hubs, which will then fall into a vicious cycle of decay and falling productivity. Stories like Detroit’s have played out several times in developed countries during the last half-century. And, as the fate of Mexico’s northern towns suggests, emerging economies are not immune from this process. That is why China needs to prepare for this moment. Rather than building ever more cookie-cutter industrial towns, China needs to refit and upgrade its existing cities. As its population begins to shrink, it may even be worthwhile to shut down unviable cities and consolidate. Detroit’s fate should serve as a warning, not only for China, but for the next generation of urbanizing countries (for example, India) as well.